« NASA expects serious solar event this year: Magnetic field is about to reverse polarity. In a rare diplomatic rebuke, U.S. President Barack Obama says he is canceling next month’s planned meeting with Russian President Vladimir Putin in Moscow. 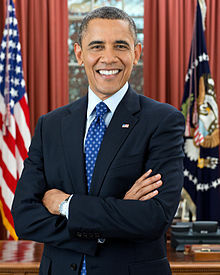 The White House said Obama still plans to travel to Russia to attend the Group of 20 economic summit in St. Petersburg. But instead of flying to Moscow afterwards, he intends to head to Sweden. But, Obama acknowledged, despite the American-Russian cooperation over things like supplying troops in Afghanistan or tracking terrorists after the Boston Marathon bombings, he’s not surprised that things have reached this point with Moscow. The USA President can decide who he does and does not wish to meet with, but not meeting with Russia’s President Putin would not be expected to help USA relations with Russia. While the Edward Snowden matter is the reason given for the cancellation, it would not surprise me if part of the reason for cancelling the meeting is that Vladimir Putin is probably the most powerful political leader in the world to recently come out against homosexual marriage and other aspects of the homosexual agenda (see, for example, Russia’s Putin blasts West on Syria and Western media disapproves of his position on homosexuality). I suspect that President Obama may have decided that cancelling the meeting with President Putin would show he took action related to Edward Snowden as well as to show that he is not pleased that Vladimir Putin took a public stand closer to biblical standards of morality against aspects of homosexuality. While President Obama may have decided this move will help him politically, his own approving and promoting aspects of the homosexual agenda is still wrong and will lead to destruction. The ‘gay’ agenda will end in destruction. Yet various government officials, like Barack Obama, are promoting it. They apparently do not take the warnings of the Bible seriously and do not want others to be too bold in proclaiming what the Bible teaches on this subject. Can the Great Tribulation Begin in 2013 or 2043? Can the Great Tribulation begin today? What is the “beginning of sorrows”? When is the earliest that the Great Tribulation can begin? What is the Day of the Lord? This entry was posted on Wednesday, August 7th, 2013 at 7:12 am	and is filed under Prophecy.